Look closer and you can see Erikhe. When I learned I was coming to “the Woodstock of the mind” – as some people call the Hay Festival – they told me magic things happen here. That sounded like a fun idea, but I never imagined it could have been meant so literally. On Monday night, after leaving the last event, I stopped by the green room – the place where the artists have a rest and a drink. You find all the festival organisers hanging around there, the participants, and all the journalists who are after an interview. It’s a privileged space, to which not everybody has access, where you might bump into J.K. Rowling, Sting or Benedict Cumberbatch. The festival’s other spectacular moments take place when the sun appears between the clouds. The bookshops, restaurants and tents near to the venues fill with visitors searching for a pleasant atmosphere. Most of them are families taking a few days’ break at the festival. In one of the play areas, I ask a father, a man of about forty, why he has brought his children. He tells me they live in Cwmbran, a town 45 minutes from Hay. In Cwmbran, he says, there aren’t many cultural events, and his two children, aged twelve and eight, love reading. So once a year they come to see their favourite authors. They camp out close to the site and see two or three events a day. It’s surprising how many events there are relating to children’s and young people’s literature. In the main festival bookshop, I ask one of the booksellers about this. He tells me that the signatures of these writers tend to be much more sought after: children stand in endless queues for a signing. In addition to this, there are all kinds of workshops on subjects ranging from gardening to poetry. Perhaps the comparison with Woodstock isn’t the closest. On the sunny afternoons in the gardens, this feels like an amusement park of the mind. It’s also a festival for those who want to get into writing. There’s a space in which literature fans can test out their talent. I approach a small tent where there are readings of unpublished texts. Various authors read the pieces they’ve written during the festival inspired by their contact with hallowed authors. The audience comments and applauds spontaneously. A musician plays guitar between the readings. “Your most recent books happen in different places – are you tempted to write about India again?” asks Tishani Doshi. Rushdie is one of the most celebrated authors on the planet. His fame precedes him wherever he goes. He is also always accompanied by a group of bodyguards who keep an eye on his surroundings. Ever since he published The Satanic Verses in 1988, there has been a death threat hanging over him. Rushdie is a regular at the Hay Festival, and this year he has come to talk about The Golden House, his most recent novel, which some believe to be a satire on the government of Donald Trump. “I feel terribly guilty. Sometimes I wake up in the middle of the night terrified at the possibility that everything that’s happening is my fault,” replies Rushdie, laughing. Thirty years ago, Stephen Hawking published A Brief History of Time, Steve Jobs unveiled the NeXT Computer, and Die Hard hit cinemas for the first time. The World Wide Web had not yet been invented. A lot can change in a few short decades, whether guided by advances in science and technology or by changing ideas and politics. 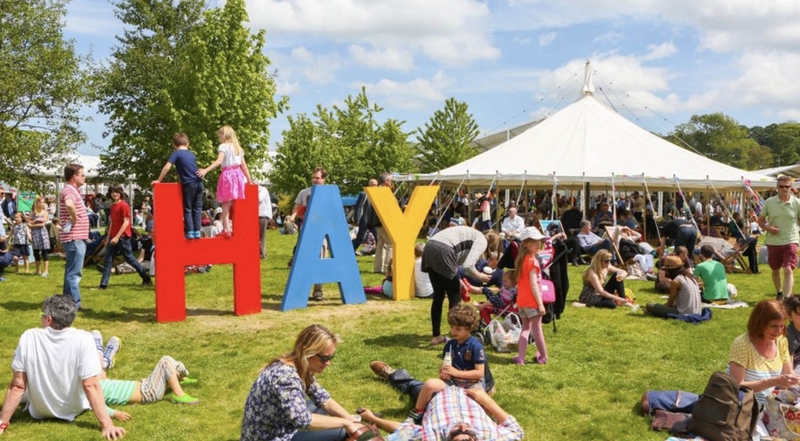 Ahead of the 2018 Hay Festival, WIRED asked 15 leading writers and thinkers to answer one question: Which innovation will most change the way we live by 2050? The artist and author, Clive Wilkins.